A commander of the army and a diplomat seem to be on opposite ends of the spectrum of foreign relations, but the two titles have been filled by one man: Karl Eikenberry. In this episode of Conversations with History, Harry Kreisler is joined by Karl Eikenberry, who commanded coalition troops in Afghanistan and served as US Ambassador there. Eikenberry is now the William J. Perry Fellow in International Security at Stanford University, where he continues to teach that the two roles have more in common than one might think. He encourages people in the armed forces, particularly army and marines (those deployed on the ground) to have a strong liberal arts background in order to better understand and empathize the foreign cultures that they work within. 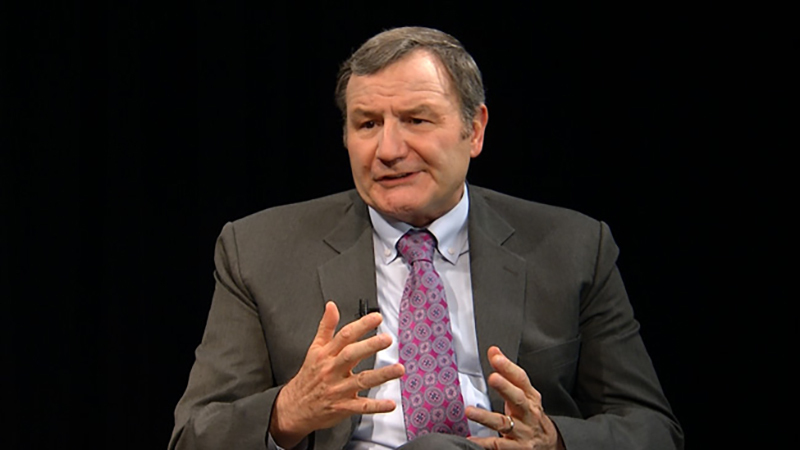 Watch “Force and Diplomacy with Karl Eikenberry” to hear Eikenberry give his expert opinion on the current situation in Afghanistan as the U.S. formulates an exit strategy, turning its attention towards China. See who else has visited UC Berkeley to join Harry Kreisler on Conversations with History.